With the growing trend towards hostile architecture now openly admitting its political incentives, are we in an age of transparent hostility? Writing in 1980 the political scientist, Langdon Winner, described an intriguing, albeit disconcerting episode in the history of American urban planning. The bridges that cross the parkways leading from New York City to Long Island, he explains, were constructed to achieve a particular social effect. 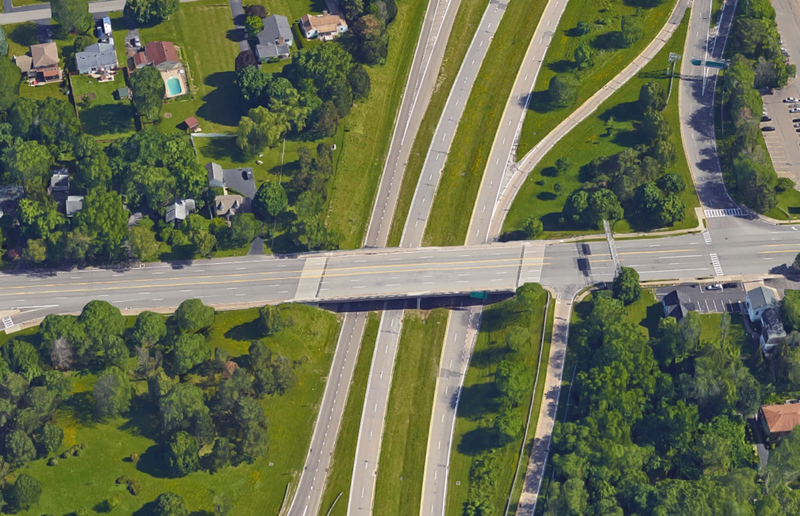 The overpasses hang considerably lower than usual, with many barely reaching three meters from the curb. This structural peculiarity was a deliberate choice by the man responsible for many of New York’s public renovations during the last century, Robert Moses. Aware that low-income communities relied on public transport Moses designed these bridges to discourage poor people from using the parkways. Four metres high buses were unable to pass beneath the bridges, keeping poor people within the city limits, whereas higher-income, predominately white communities, driving automobiles, were free to use the roads. Developed to encourage commuting and recreation, the parkways in question led Moses’ acclaimed Jones Beach, effectively segregating a supposedly public park. Bridge crossing the Robert Moses Parkway at Lewiston, NY. The discriminatory nature of Moses’ planning remained widely unrecognized during his lifetime. Drivers using the roads failed to notice anything significant, with the bridges’ seemingly harmless design concealing their political purposes, allowing these qualities to phase into the periphery. Concerned with the political dimensions of technological artefacts, Winner uses this episode to demonstrate a provocative line of thought. Banal aspects of the landscape, he explains, can be powerful tools in the hands of the politically motivated. Enduring constructions, made from steel and concrete, are capable of covertly upholding systematic prejudices. Moses’ influence over New York City’s physical and political systems is a fascinating, and illustrative example of this trend, demonstrating how astute design can shape political arrangements for generations. 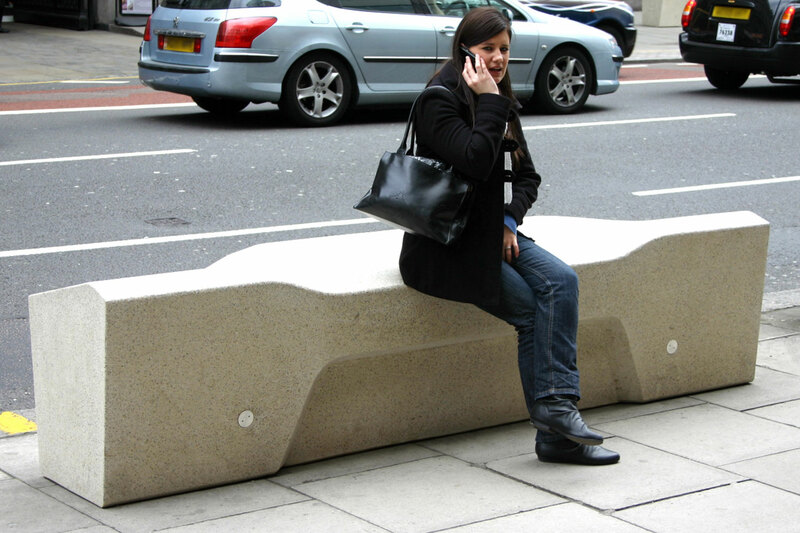 Recent urban scholarship has documented similar patterns in contemporary planning, coining the term ‘hostile architecture’ to serve as both a denotative and derogative. Local governments, commentators assert, use a variety of methods to prohibit certain communities’ access to public space. Designing, inventing and constructing objects that deter specific sets of behaviour. Usually targeting marginalized communities, hostile architecture has been accused of reinforcing questionable social boundaries, tackling serious urban issues with arbitrary measures. Obviously authorities are not often eager to publicize their use of the built environment as a means to resolve municipal problems, and hostile architecture is purposely designed to appear unremarkable, often concealed behind mundane or apparently aesthetic aspects of the urban landscape. 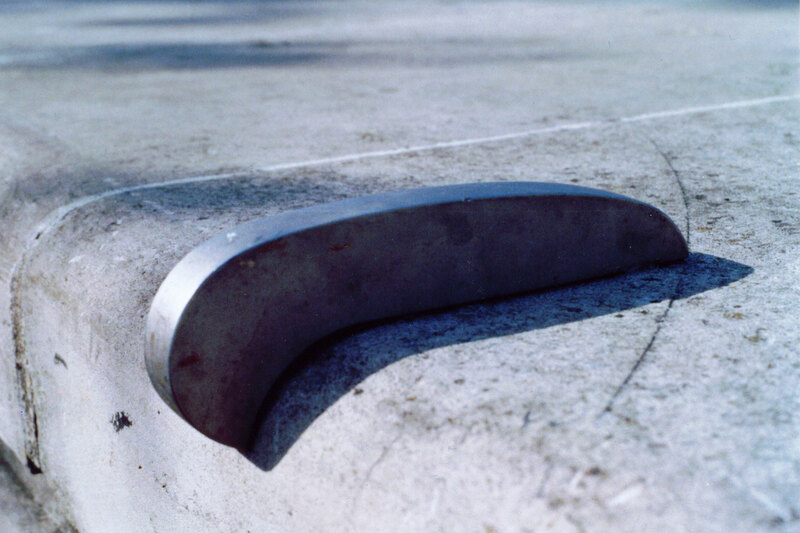 Skateboarding, for example, is discouraged with ‘pig-ears’ placed on objects which could be used for grinding, throwing any potential mounts off balance, while flat, sloped surfaces, used by skaters as ramps, are segmented and depressed in areas, making cruising impossible. Although hostile architecture has been criticized for unfairly discriminating against skateboarders, and by extension teenagers, its most controversial target is undoubtedly the homeless. Areas where rough sleeping is endemic have been canvassed with spikes or sharp stones, making surfaces uncomfortable to lie on, with covered spaces made unattractive to people searching for improvised shelter. Whether or not these objects actually curtail skateboarding or rough sleeping is uncertain, and hostile architecture is claimed to displace behaviour rather than prohibit it, forcing targeted communities to other areas of the city. Moreover, homelessness and skateboarding are not inherently illegal, and local governments have been accused of expelling already underrepresented individuals. Unlike Moses’ civil works these structures have not been allowed disappear into the landscape, with the growing scholarship on hostile architecture resolutely documenting their effects on public space. Perhaps as recourse authorities have begun openly admitting their use of hostile architecture. Resilient, obstinately practical, and supposedly crime-proof the Camden Bench was developed to withstand the hardest pains of the city. Although detached from the pavement, it is movable only by crane, being constructed from dense, honed concrete. Its ridged top and sloped edges, while formally reminiscent of cubist architecture, serve wholly functional purposes. The bench, by design, is uncomfortable to lie on, while its curves and arches deter grinding. Additionally, it’s claimed, that the bench curtails crime. Being an undivided slab, it has nowhere for criminals to hide drugs or weapons. Commissioned by Camden Borough Council, and designed by Factory Furniture, the bench was unveiled in 2012, to considerable public outcry; seen as a symbol of the area’s civil difficulties and its local government’s systematic failure to provide adequate welfare. Its manufacturers unapologetically declare these discriminatory qualities, with their website publicising the bench’s intended use as a deterrent, a transparent hostility which simultaneously elicits alarm and uneasiness. Awareness of the bench’s desired effects draws it into the public’s gaze, making the object, and its producers, vulnerable to criticism. A fact illustrated by the ongoing discussion, and debate, surrounding the bench. This openness, though, is revealing of another, perhaps more disconcerting attitude towards public space. Whereas other instances of hostile architecture are marked by their deliberate obscurity, the Camden Bench was developed, constructed and deployed in plain sight, making it an all too visible reminder of persistent negligence, raising the question: will hostile architecture become an accepted feature of the built environment? Tom is a researcher focusing on the interplay between culture and technology. Originally from the Isle of Wight, England, he currently lives in Amsterdam where he is writing his ResMA thesis on contemporary philosophy of technology, while working as a freelance copy editor and writer. Public parks design also react to gay cruising (eye control, lighting), just as public toilets are made hostile to junkies and drug dealing (blue lights, psychedelic walls). Seems to me the anti-social function of architecture is fully part of the public agenda. Regarding how "authorities have begun openly admitting their use of hostile architecture", see CPTED and its principles. Always surprised when I have been in public design/review meetings and this is discussed, as a pro/plus. Way to make people feel more secure. Especially in renewal/regeneration projects. Also, re: "homelessness and skateboarding are not inherently illegal" not sure this is true everywhere. Feel like all the places I have lived have to varying degrees criminalized both. Certainly in specific contexts/locations.